Cargo theft. Fraudulent pick-ups. Trafficking of drugs and weapons. People smuggling. Counterfeit and misdeclared goods. Tax and duty evasion. International container operations have always been vulnerable to criminal activity. And the risks continue to rise today, exposing shippers, the transport and logistics industry and governments alike to financial and reputational damage and endangering the safety of people. Cargo criminals are getting more sophisticated, more violent and more organized, says the Transported Asset Protection Association (TAPA). In 2015, TAPA EMEA recorded 93 new incidents across Europe and South Africa, producing an average loss of nearly €300,000 – 65% up on the previous year. The biggest single incident was the theft of €3 million of pharmaceuticals from a DC in Italy. But as TAPA and other security watchdogs point out, cargo crime today extends way beyond traditional high-value pharma and electronics. 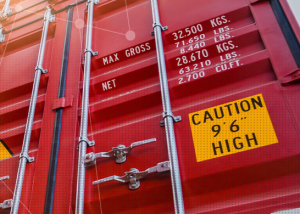 Criminals are now going after all types of cargo, including low-value items, a worrying new trend that puts more containerized cargo operations at risk than ever before. Road transport is especially vulnerable, especially at unattended stops, notes TAPA. But the ever-growing concentration of containers, cargo, trucks and people in and around ports also make them a top target for organized crime. That’s not just theft, but also drug trafficking and smuggling, as highlighted in the “Rotterdam port, safe port” campaign launched recently by Europe’s largest maritime trade cluster. Tackling cargo crime in maritime container transport chains will require concerted dialogue, intelligence-gathering and co-ordination among many public and private stakeholders. But technology will be part of the solution, too. Advances in M2M telematics such as ORBCOMM’s CargoWatch Secure solution are now enabling remote visibility into the location, condition and security status of containerized cargo on a worldwide basis. And that’s opening up new options for shippers, 3PLs, intermodal operators, port communities and government agencies to minimize theft and fraud, manage the chain of custody and recover stolen goods.